Welcome music rasikas. I have added this facility to reach my fans who are not near me or cannot see me at my concerts. Hope you will cooperate in keeping this feature on my site at all times. You will have to be satisfied with chatting with the webmasters often times. 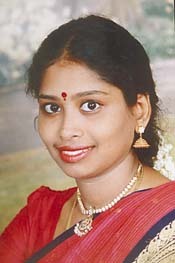 This Carnatic Webring site is owned by Jayashree.